After a couple of years just being a (welcome) midlands tournament day (DBMM, Armati Doubles, FOW etc.) 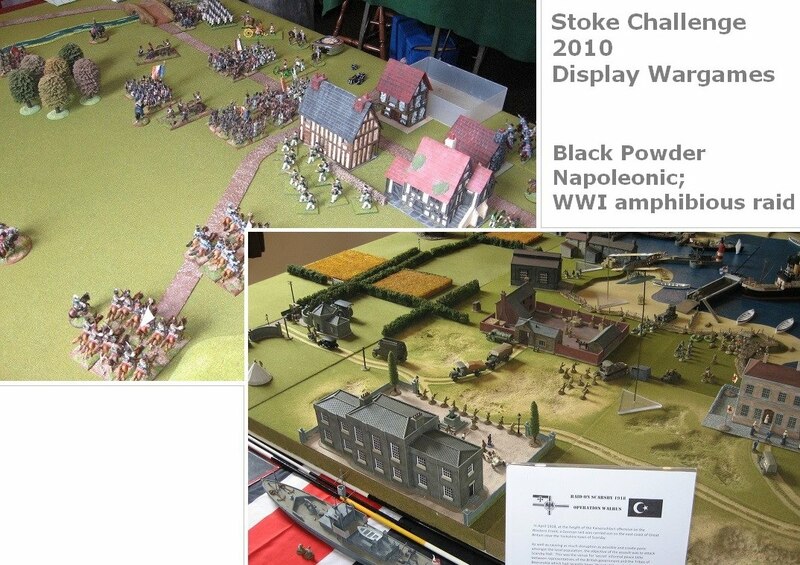 ... this year we were treated to a (one day) wargames show ... trade stands, demonstration games, organised parking - even direction signs up on the approach roads (thumbs up for that, Stokies ... we've been lost round your streets before, so the signs brought a cheer to the Northants battlebus ..).. I hope the traders did OK and will come back next year - it is hard to tell (I bought a few bits, including some wicked little Litko plastic explosions as markers for a game that has no place on Ancients on the Move ... but no book from DL .. that will have to wait til Britcon) ... Some nice plastics around, too, but sadly I didn't really have much time to shop. 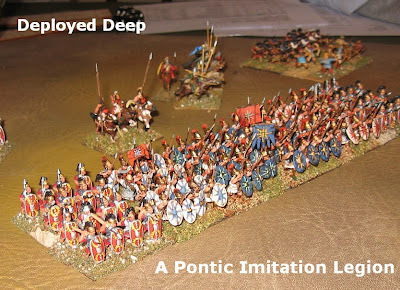 It was a BC themed event, and both Malmesbury and Northants took a highly fanciable 'Later Pontic' (the former taking extra light troops, the latter Scythed Chariots), Stoke took Fabian Roman, and the Jokers took Gallic. A brave if unwieldy choice. 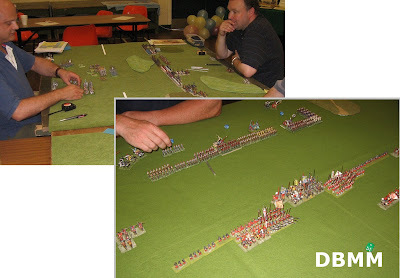 I need not worry about modesty in giving results - I was half the Northants team, and we ran perpetual champions Roy and Rodge (Malmesbury) very close in a 1BP margin game where a dead general and an intiative roll settled it. Meanwhile the Jokers edged past Fabius (where delaying tactics lead to an indecisive game?). So the Jokers played Roy and Rodge in a final I could not see how they could win (and they didn't) ... while we could not force a decisive result out of the Fabians and lost a split result by 1BP (another dead general) .. So Roy and Rodge retained their crown, with Mark and Will, the Jokers, as runners up. Oliver and Martin won the third place play off for Stoke, so Chris and I tucked the Northants team into the remaining slot. Two good sociable games, very different in their own ways. 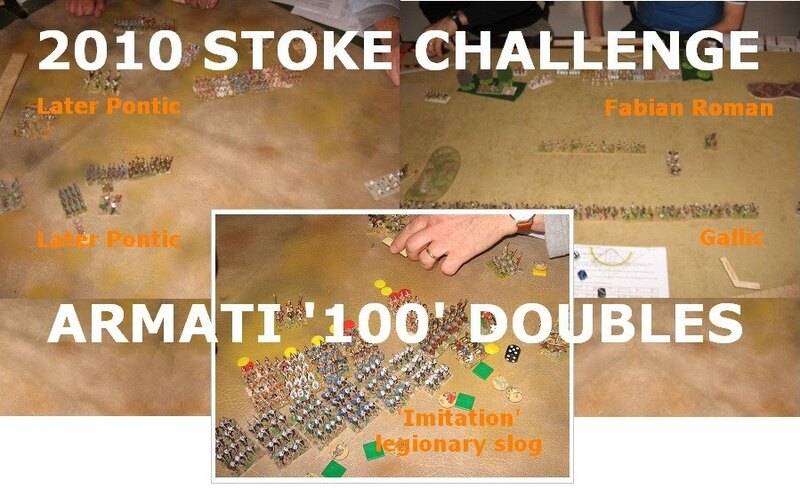 Armati 100 point Doubles is a very good format, even if this (BC/Antiquity) isn't my favourite period for the game (all those non-key light troops and gamey mixed divisions ...)... Just a pity I don't seem much good at it. 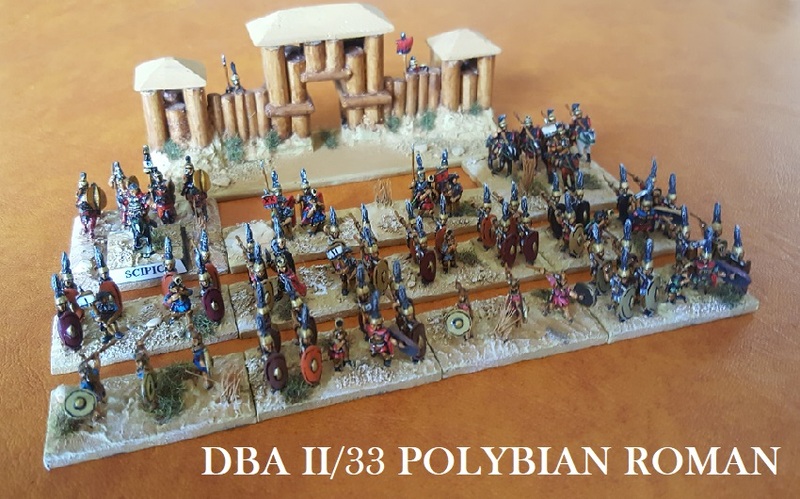 Elsewhere, Brian Pierpoint (41 pts Romanian Frank) won the DBMM, followed in a very close finish by Jim Gibson (40 pts Navarrese) and Keith Nathan (40 pts Later Muslim Indian) ... Sorry I couldn't give it more coverage - I was in the other room playing Armati. Great event, guys - a simple formula, but it works. Next week - the Society of Ancients Doubles Masters at Oxford. 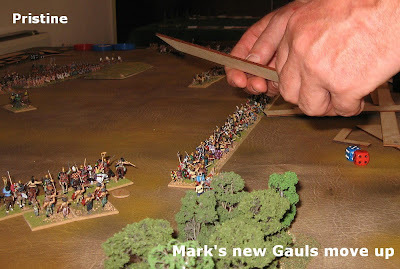 Field of Glory Open 15mm. Not more plastic explosions...they look so "plasticy"!!! ... and they look like explosions! Great to get incisive dialogue flowing from the comment threads.